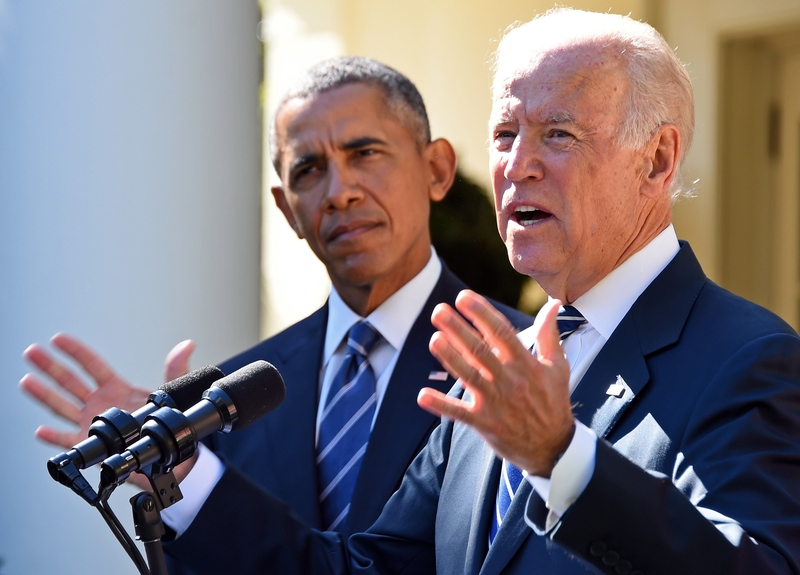 Joe Biden dispelled rumors that he would seek the presidency Wednesday morning, when he announced from the White House that he will not campaign for the Democratic nomination. Joined by his wife Jill and President Obama, Biden also promised that he will still be vocal throughout the election cycle. Political pundits have been speculating for months about what a Biden campaign would mean for current Democratic frontrunner Hillary Clinton. Now, we need to think about what Biden's decision not to run means for Clinton. With Biden officially out of the running, Clinton can focus her attention on her main competition: Bernie Sanders. Recent assessment of Clinton's statements and campaign tactics were seen as preemptive maneuvers which would distinguish her as a superior candidate to Biden in the event that he announced his candidacy. On Monday, Fox News reported that Biden was most definitely going to run for president, which was followed by analysis from ABC on Tuesday that Clinton was "flexing her muscles" in anticipation of such an announcement. ABC then stated that Clinton might as well have cc'ed Biden on her announcement that 50 black mayors in South Carolina would endorse her, and further concluded that her announcements about the financial health of her campaign (she has $33 million on hand) could be seen as a direct challenge to Biden and his then-potential campaign. Essentially, some had decided that Clinton was campaigning against Biden, even though he was not officially in the race. Now that Biden is certain not to run, Clinton doesn't have to contend with another potential frontrunner apart from Bernie Sanders. Which means she can focus on distinguishing herself from Sanders alone, without worries that a Biden campaign could thwart her chances of clinching the nomination. The possibility of a Biden campaign could indeed have been a huge problem for Clinton's current standings in the polls. If Biden had run, Clinton would be faced with losing many of her potential voters to Biden, who is more like Clinton than Sanders is. Hesitant Clinton supporters who don't lean as far left as Sanders may very well have left her scrambling to draw hard lines separating herself from another relatively moderate Democrat. As The Washington Post opined in August, a Biden campaign would have been the best possible election shakeup Sanders could hope for. The absence of Biden from the Democratic candidates must be a relief to the Clinton camp, as she is likely to hold on to her support base for the time being. No longer obliged to contend with a non-contender, Clinton can shift attention away from the vice president and continue to work to present herself as the better of only two top candidates.